Regular maintenance and troubleshooting are vital for securing a photovoltaic plant’s yields over the long-term. 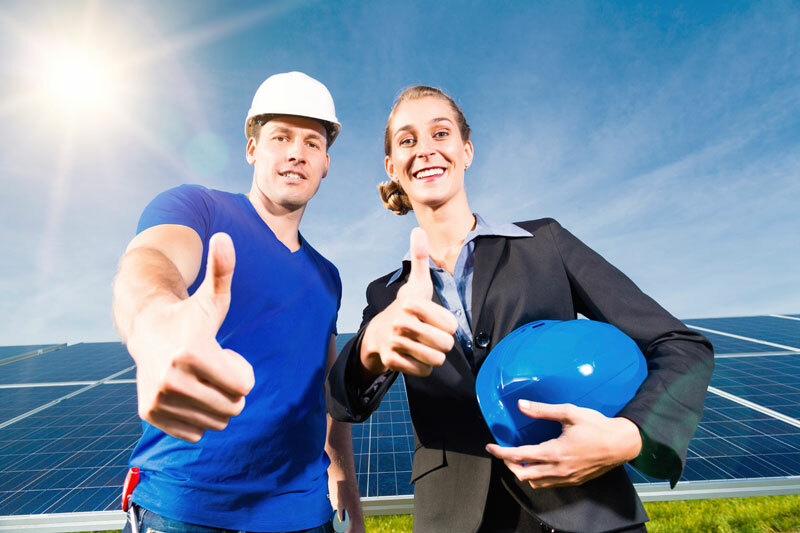 We have more than ten years’ experience in maintaining and servicing photovoltaic power plants. Our technical expertise allows us to detect plant issues safely and quickly, and offer a first-rate solution. We coordinate the entire commissioning process and ensure that your PV project is connected to the grid right on time. For you, this means fewer interfaces, time saved and reduced process costs. As a specialist in central inverters, we keep selected brand-name products in stock to guarantee the immediate replacement of any defective components. We ensure high system availability through preventative maintenance. Besides our fast response times minimize downtime. We have experience with a range of different power plants around the world. Our service is worldwide and around the clock, every day, available. Our service hotline is staffed around the clock – every day. Because we know how quickly issues in PV systems can lead to financial losses. Whatever the challenge, our service team is available to support you – on site or via secure remote maintenance access channels. We resolve problems efficiently and quickly, so that your PV power plant is soon achieving maximum yields again.